March 30, 2015 Shane W. & Son Dakota. 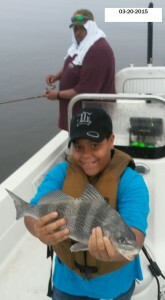 Friend Dave & Son Jake Work Hard to put Some Nice Ones In The Box!!! March 30, 2015 Shane W. & Son Dakota. Friend Dave & Son Jake Work Hard to put Some Nice Ones In The Box!! Lots of fresh water coming down the river is making it a challenge to catch a bunch on Lake Calcasieu. It will take several days of no rain to get things back into the Spring Fling on Big Lake! March 27, 2015 Tommy S., Dean, & Robert from Del Rio Tx. Have a Great Day on Lake Calcasieu with Captain Tommy!!! 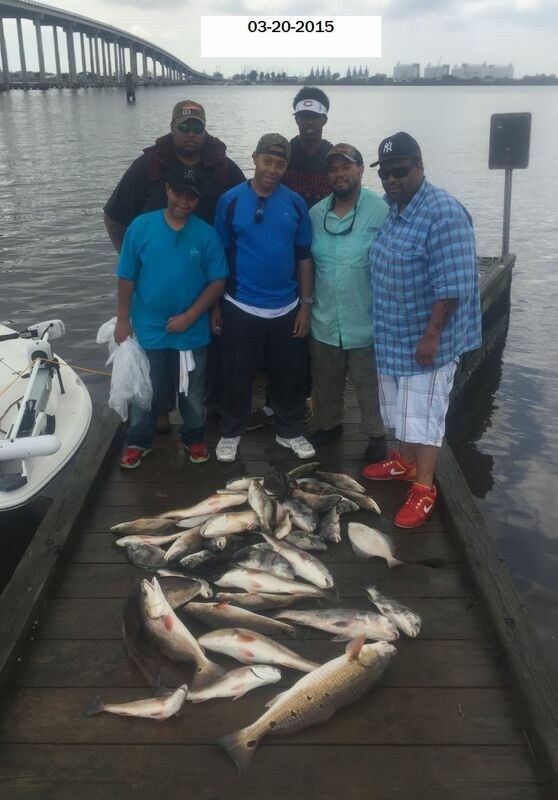 March 27, 2015 Monsters Lurking In Lake Calcasieu!!! 50 LB RedFish Caught By Dean the Fishing Machine from Del Rio Texas on 14 lb Berkley Fireline with Captain Tommy!!! 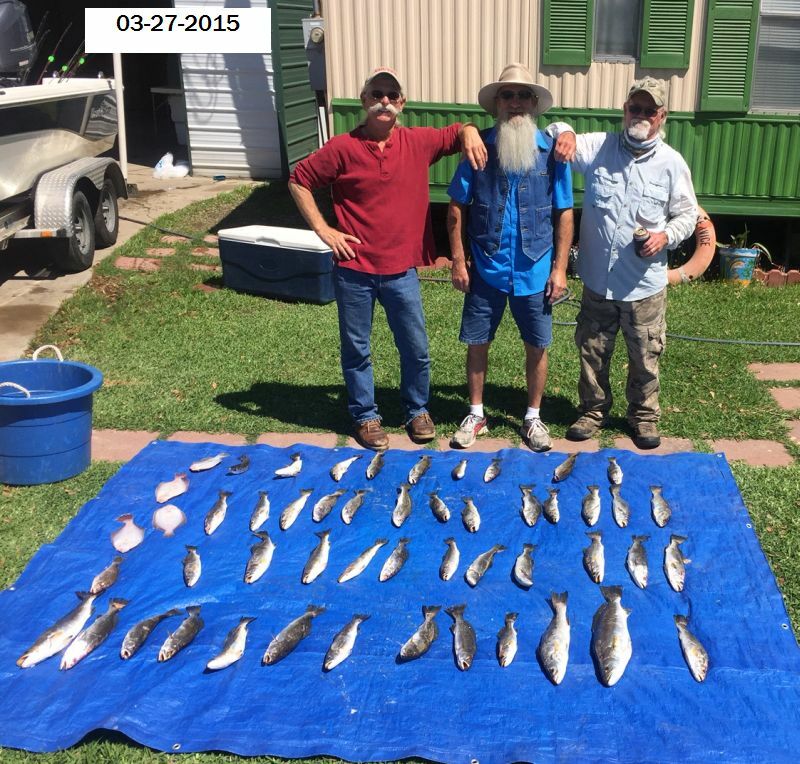 March 27, 2015 Monsters Lurking In Lake Calcasieu!!! 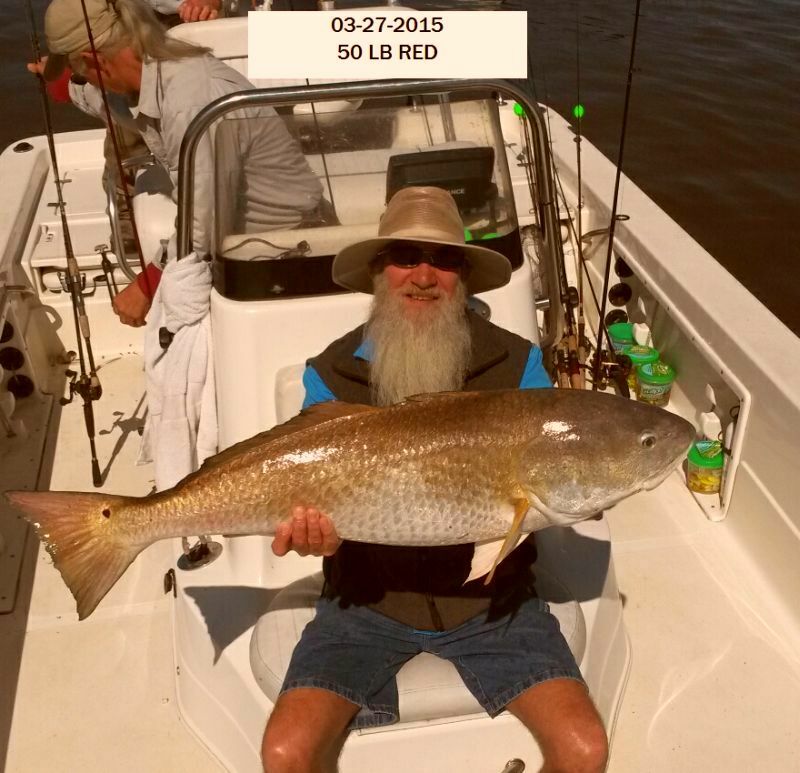 50 LB RedFish Caught By Dean the Fishing Machine from Del Rio Texas with Captain Tommy! This Big Lake Bronze Beauty could not resist a Berkley Gulp Shrimp!!! March 25, 2015 Mike & Susan B. Have a Nice Day on Lake Calcasieu with Captain Tommy!!! March 25, 2015 Mike & Susan B. 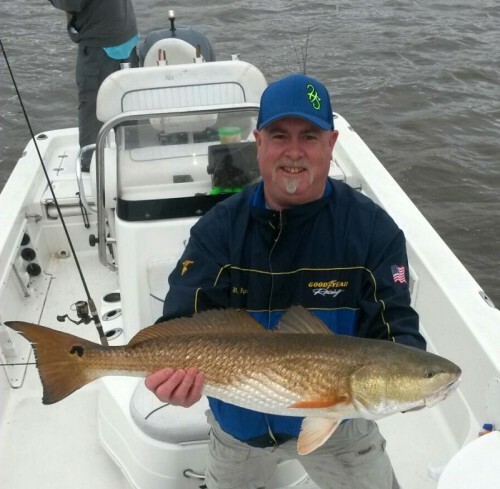 Have a Nice Day on Lake Calcasieu with Captain Tommy! 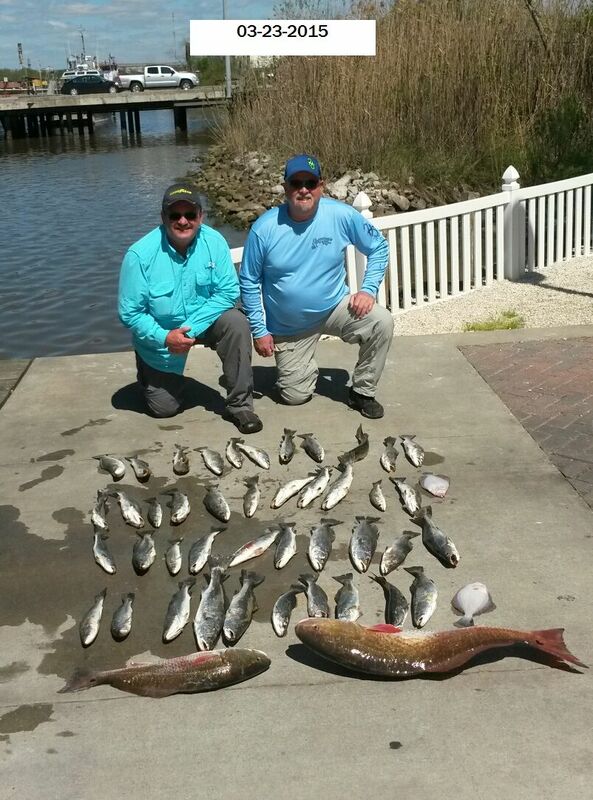 March 23, 2015 Incredible Trout Bite For Dwayne S. & Fishing Partner Don on Lake Calcasieu with Captain Tommy!!! 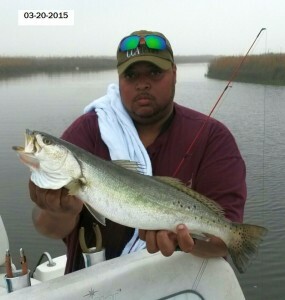 March 23, 2015 Incredible Trout Bite For Dwayne S. & Fishing Partner Don on Lake Calcasieu with Captain Tommy!!! 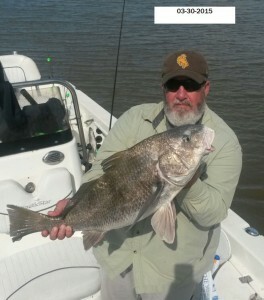 Nice 15 lb Red on Gulp for Don! 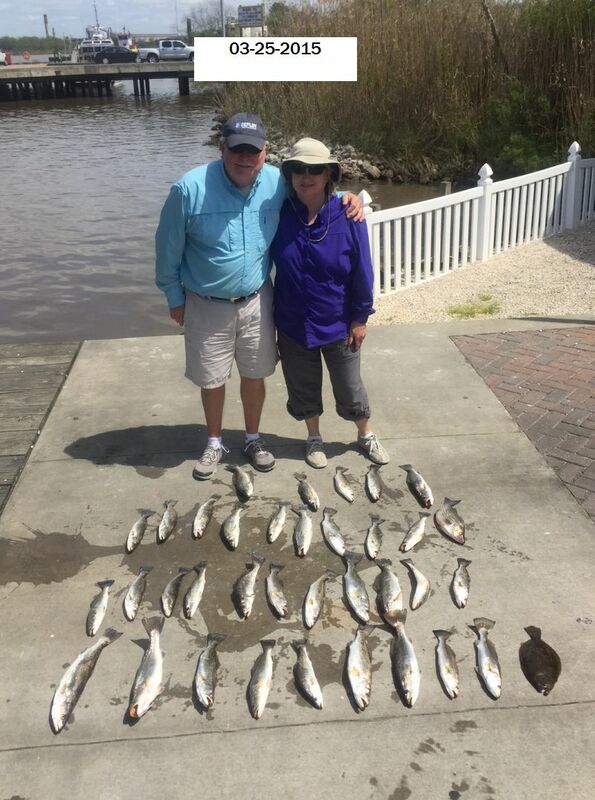 March 20, 2015 Great Family Outing on Lake Sabine!!! 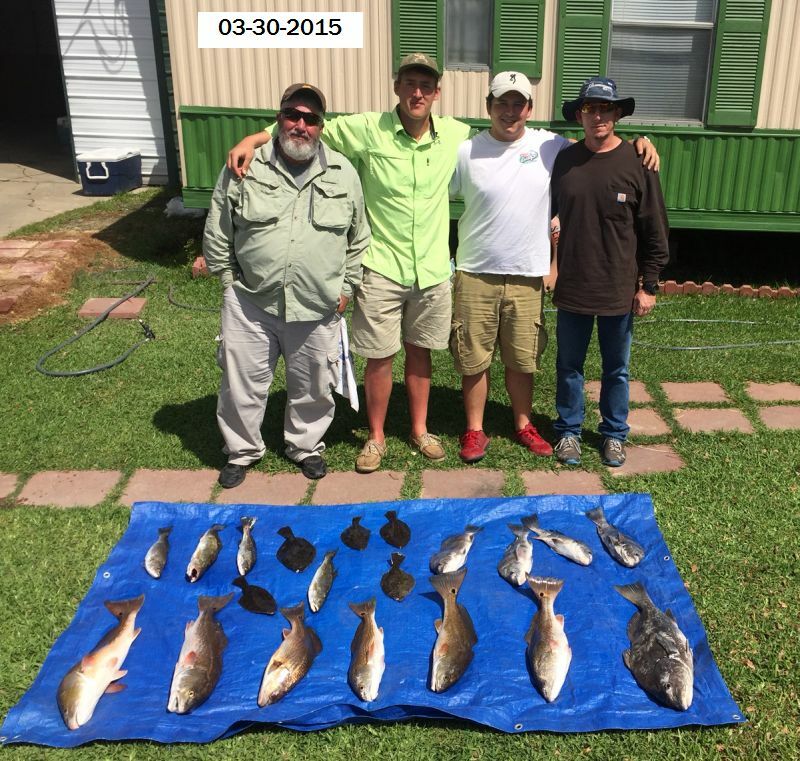 March 20, 2015 Great Family Outing on Lake Sabine!! 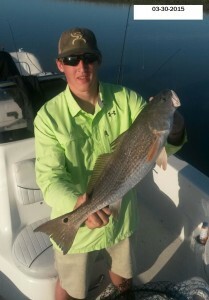 Nice Trout, Reds, Drum & Flounder!! !